Let’s face it, readers come to your article looking for the main course. Once they fill themselves up with your valuable information, they don’t need a big reiteration of what you just told them in the conclusion. That’s like eating a whole second helping. A proper ending to an article helps readers get a grip by providing detailed information the right way, punctuating your article topic. Just like dessert, the end of your article should leave your readers satisfied and comfortable with the content they just took in. Summarize – Try not to introduce anything new in the conclusion, that’s what the body is for. It’s better to give your audience your interpretation of what they should take away from the article. If the take away is one important lesson, the conclusion doesn’t need to be more than a few sentences. Tie To Introduction – If it makes sense, why not tie your conclusion back to the introduction? If you started with a story or an open-ended thought in the introduction, the conclusion is the perfect place to close the thought out and resolve it. “In Conclusion …” – Academics and journalists may feel that starting a conclusion with “In conclusion …” is the wrong way to finish up an essay or editorial. However, in article writing and marketing, this is an effective way to mark the end of your article’s new thoughts. And don’t forget to include the WIIFM (“What’s In It For Me?”), so your readers know why they should care about your content. Finality – The last sentence should be to the point, not an open-ended thought. The reader should finish the conclusion feeling educated and on their way to buying into your way of thinking. That’ll put you in a much better position to transition to your call-to-action in the Resource Box. There you have it. Keep your article endings short, sweet and to the point. The conclusion should wrap up the points of the article and set readers up for the call-to-action. Incorporate these tips now to keep your reader’s interest all the way through every article and to your Resource Box. Also, leave a comment to share how you keep your conclusions short and sweet. I am following all your instructions and sure to follow this one regarding the concluding part. I LOVE reading your blog, you always give such fabulous and extremely helpful tips! I totally agree. And yet in my case, I am looking for “big thinkers” to join out Think Tank, and the whole purpose of my articles are to get people to think! And so, maybe I am an exception to that last point. On second thought, if my article title is a question, and I leave them with that thought at the end, still a question, then I’ve in essence done the same thing as you suggest anyway, hmm? That is interesting, either way, I’ve concluded with the premise of the article, and the “call to action” is to think and since we run a think thank – come think with us? Hmm? I guess you are right, thanks for making me think – you win. I should know better than to argue with your great advice! Thanks for the information. I am learning how to writ articles and this will definately help!! As a novice at article writing, these posts are a big help on how to improve my articles. I try to follow the tips, but have a way to go to be any good at it. This message doesn’t relate to your blog but since you’re the ME I thought I would write directly to you here. Thanks for a great site. I am now a believer and am submitting articles as fast as I can. Your site doesn’t explain in an easy-to-find manner what a Platinum Status is…also, I saw somewhere a subscription service for $69. I plan on submitting a good number of articles to your site and I want to know what are the different kinds of memberships. Thanks for the tips and advice. I am new to article writing and have learned so much from the blog, and during the submission process. Your tutorials are great. I feel honored to be able to participate in this great blog. Great write up. 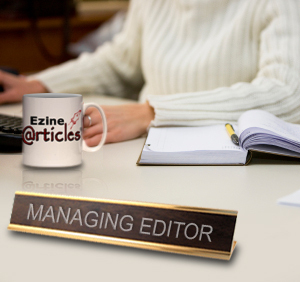 EzineArticles remains the best place to improve your skills as a writer. Applying these rules to our articles would surely make us better writers. I’m just now learning how to write articles. This blog is so full of helpful information! Thank you. I am having a problem with your automatic checking system It seems you don’t like my name and my Current Membership Level is Suspended doe to Invalid Author Name. I don’t understand what EzineArticles’ problem is. This is my name. Is this some kind of test? Additionally, I do not see a contact email and phone number for EzineArticles on your website. I would like to communicate directly with whoever is responsible for this site? Joe, somebody from our Member Support team will contact you privately via email regarding these matters. Thanks for continuing to provide great info. Thank you so much for the blog and the good information. I am 64 and just three weeks writing here. I am enjoying this new adventure so much that I cannot even describe it. I am so grateful for your tips and I want you to know that I really enjoy them. This one conclusion is just great; thank you again.